A Law degree can lead to countless interesting and exciting job opportunities. The individuals below have shared their stories to shed light on the many different career paths a degree in Law has to offer. As a protection visa case officer, Ashley's primary responsibilities are to meet with visa applicants and assess their applications. Working for a government agency that is frequently in the media, the job remains an ever-changing and challenging position, but with numerous benefits. Find out more about about Ashley's story and the various ways he is using his Law degree. 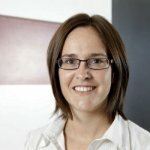 As a criminal lawyer working for Legal Aid in Western Australia, Natalie has a variety of roles and responsibilities working in the Magistrate’s Courts and the Children’s Court. In addition to providing legal advice and legal representation, Natalie prepares and presents criminal appeals and briefs private legal practitioners, when necessary. Being a criminal lawyer can be challenging, but it is highly rewarding - hear more about Natalie's story. As CEO of Greenpeace Australia, David’s day-to-day responsibilities are constantly evolving. Addressing environmental issues confronting Australia Pacific and the globe, David’s current position gives him the ability to be a part of lasting change. His career has allowed him to use his knowledge of the Law in a variety of capacities, both inside and outside the courtroom. Find out more about David’s story and his important insight into what a Law degree can offer. 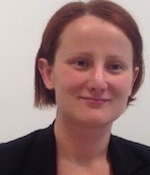 Lauren is a Lecturer Research Associate in the Faculty of Law at UWA. Her area of research focuses on water law and environmental law. She also teaches Indigenous Peoples and the Law, Administrative Law and Law and Society. Hear more about Lauren's current position and her experiences as a student and young professional. As a recent graduate of UWA, Andrew is currently employed by the Solicitor General of Western Australia. As a young professional, Andrew has an excellent understanding of the current job market and some great insight into the opportunities available to current Law students. Hear more about Andrew's story. Frances is a legal officer at the Department of Environment and Conservation (DEC). Benefits of this job include making tangible and lasting impacts on environmental legislation in West Australia and beyond. Similarly, the job provides a wide range of interesting subject matter and access to a wealth of current and developing legislation. Sound like something you might be interested in? Hear more about what Frances has to say. Currently a Lecturer in the Law School, Theodore recently completed his PhD at UWA. There are many good things about the challenging PhD process and the experience can present numerous personal and career opportunities. Theodore has some great advice for those who are considering doing a PhD in Law. As a Senior HR Advisor at BHP Billiton, Philippa has the opportunity to work in a fast paced environment, with ongoing changes and challenges. Prior to starting her current role, she worked in a large commercial firm, giving her great insight for students and young lawyers. Hear Philippa's story.